Basic Form. 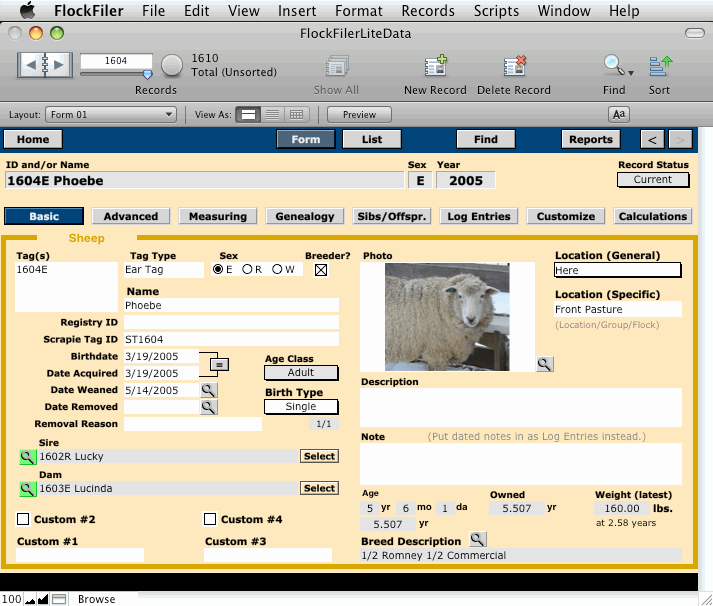 The sheep's primary information is entered on this screen. Gray items are calculated automatically from the white entries. For example, the current age is calculated automatically using the Birthdate.